Gov. Mike Dunleavy has unveiled his proposed state budget, which was expected to cut at least $1.6 billion in state spending. The state released a trove of documents detailing his proposal on the state Office of Management and Budget’s website Wednesday morning. In a press conference Wednesday, Donna Arduin, director of the state’s Office of Management and Budget, said the proposed budget was crafted with certain key things in mind, namely that expenditures must not surpass revenue, the budget will not call for new taxes or tax increases, and reserves will be maintained. Arduin highlighted “programs with unsustainable spending that have come without corresponding positive results." Examples of the largest spending areas, Arduin said, include: the Alaska Marine Highway System, the University of Alaska, public education and Medicaid. “It’s going to touch all Alaskans no matter where they live or what they do. It’s gonna be a different way of budgeting,” Dunleavy said to reporters Wednesday. Dunleavy said his budget would “compel school districts to evaluate how they spend their money.” He added that funding for public education and health and social services will be “much less” this year than what they received last year. 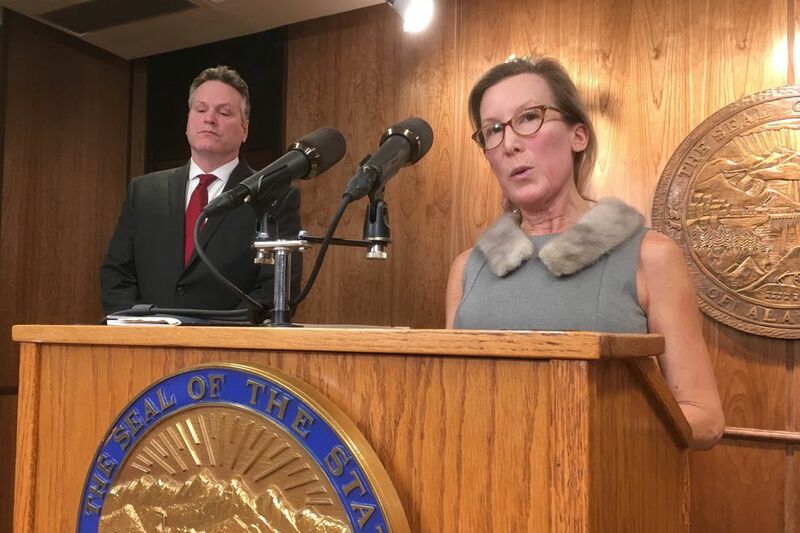 On Medicaid, Dunleavy told reporters "in this budget, we don’t have anything that repeals Medicaid expansion,” though those conversations may occur going forward. Arduin said the budget reflects over 600 state job losses. There are also proposals to examine privatization of some services, according to Arduin. As an example, she said that the state is in the process of hiring a marine consultant to explore options for the Alaska Marine Highway System. On proposed reductions to small rural airports maintained by the state, “we can’t continue to be all things to all people,” Dunleavy said. “I think everybody in this room and in this state realizes that there’s gonna be sacrifices across the board, that this has gone on too long, and that it’s got to stop,” Dunleavy said when asked whether he thought Alaskans were expecting a state budget similar to what he has proposed.